This is the fourth launch for My Cloud Grocer (MCG), after The Market Place, Western Kosher and Breadberry. The popular and rapidly growing supermarket chain Seasons is soon to follow, along with a soon-to-be-announced major retail grocery brand. 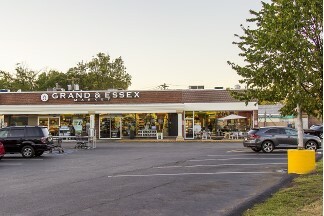 “We’re thrilled to welcome Grand & Essex to our growing network of online grocery stores,” said My Cloud Grocer co-founder and chief operations officer Dan Dashevsky. Over the past year, he said, the company’s reach has expanded from metropolitan Los Angeles to the New York City metropolitan area, Westchester County, Connecticut, and now New Jersey. This rapid growth reflects the American appetite for online grocery shopping. Nielsen research reports that 40 percent of Americans say they would shop online if they had a practical alternative to brick and mortar stores. In 2014, only three to four percent of grocery shopping in the U.S. was online, and the majority of these sales were with the big box retailers and huge dot coms. My Cloud Grocer is working to level the playing field for local, regional and national grocery chains by providing an affordable, branded e-commerce website at a fraction of the cost of a proprietary online grocery store.